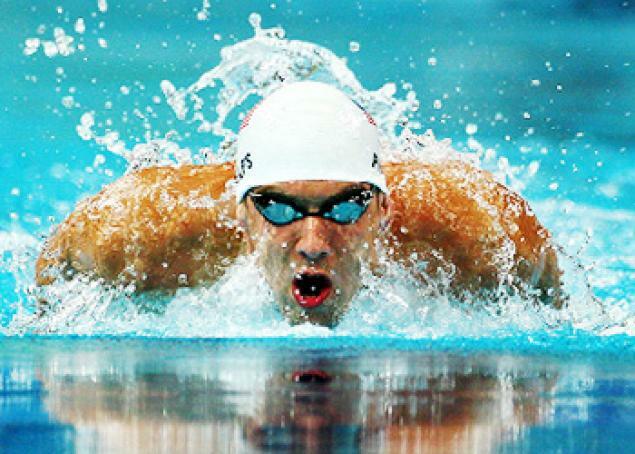 Michael Phelps is one of the most famous athletes on the planet; he is also the most decorated Olympian of all-time. He has one twenty-two medals for swimming, 18 of which gold. Michael is viewed by many as the poster child for healthy living, and he has worked on many projects aimed at the public promotion of physical fitness. The recent news that he had been busted for driving while intoxicated has tarnished his image, but he has made the brave decision to go to rehab in order to overcome his alcohol problems. Michael Phelps was born in Maryland in the US in 1985. He began swimming at age 7. He was a hyperactive child, and his parents hoped that taking up this activity would be a way for him to burn off some energy – later on, he was diagnosed with attention deficit hyperactivity disorder. It soon became obvious that he was a talented swimmer, and by age 10, he had claimed the national record for his age group. He was only 15 years of age when he won a place on the US Summer 2000 Olympic team – he managed to finish fifth in the 200-metre butterfly. It was in 2001, aged 16, that Michael Phelps started to really make a name for himself. During the World Aquatic Championships, he broke the world record for the 200-metre butterfly – he broke this record again a few months later at the World Championships. He became one of the most well known athlete in the world in 2004 when he won six gold and two bronze medals. In 2008, he topped this with eight gold medals. At the last Olympics in 2012, he walked away with another four gold and two silver medals. The first indication that Michael might have a problem with substance abuse was in 2004 when he was caught drink driving. He was only 19 years old at the time, and he claimed that it was an isolated incident – in court, he was given 18 months on probation and ordered to give lectures to school kids on the dangers of driving while intoxicated. Five years later, Michael was photographed inhaling marijuana using a water pipe. He lost a sponsorship deal because of it, so he felt it necessary to offer a public apology. The latest evidence of Michael’s substance abuse problems occurred last month (September 2014) when he was once again caught driving while intoxicated. As a result of this incident, he has been suspended from all swimming competitions for six months. It will also mean that he will not be entering the World Championships in 2015. As well as his drinking problems, there are also rumours that Michael has an unhealthy appetite for gambling – in fact, he was driving away from a casino when he was pulled over for drink driving last month. It seems that Michael is now ready to face the reality that he is dealing with a substance abuse problem. It was easy to explain away his first drink driving offence as being due to teenage exuberance, but his latest brush with the law is much harder to rationalise. He admits to feeling disappointed with himself but hopes to be able to get over his drinking problem with the help of rehab. If Michael also has issues with gambling, he should get help for this as well during his stay in an inpatient program. We hope that it will not be long before he is back in the pool and reclaiming his crown as the world’s greatest athlete.